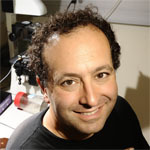 Michael Eisen’s lab in the Department of Molecular and Cell Biology at The University of California Berkeley and the Howard Hughes Medical Institute is seeking a talented, ambitious and hard-driving postdoctoral fellow to work on one of the major unsolved problems in molecular biology: how the transcriptional enhancers that control pattern gene expression during animal development work. The postdoc will pursue this question using the early Drosophila embryo as a model, and will utilize cutting edge genomics, imaging and genome editing techniques along with advanced computation. The ideal candidate will have a PhD in molecular biology or similar field and have expertise in methods immediately related to the question at hand. Only scientists willing to publish all of their work in open access journals should apply. Please send CV and letters of recommendation to mbeisen+postdoc@gmail.com. This entry was posted in EisenLab. Bookmark the permalink. Both comments and trackbacks are currently closed.